Pinterest is a global social media network, which was initiated with an idea in December 2009 and launched officially in March 2010. Now, it’s among the leading social media platform for both social and business purposes. The users are wide with different motive and purpose of usage. 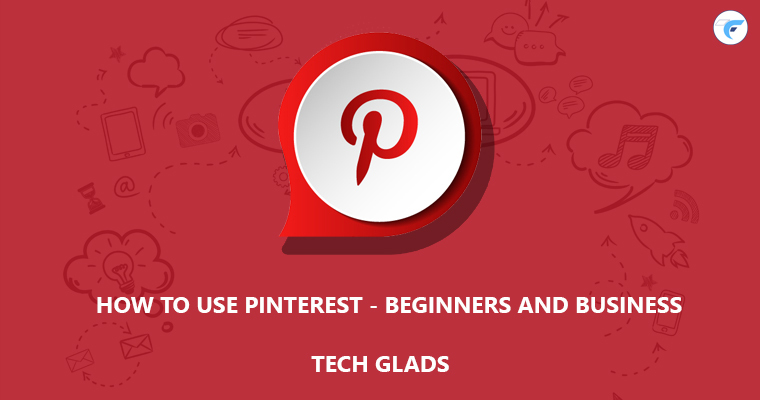 Even now, the new users are entering to Pinterest with the idea to explore new social media platform for them. 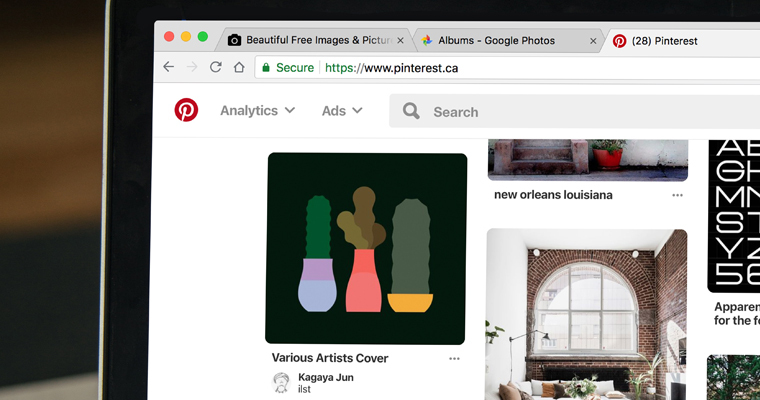 For both newbie and regular Pinterest users, we would like to show how to use Pinterest with some regular, hidden and most effective features. To start with stats, Pinterest is mostly used in the United States, which is followed by Brazil, India, and Russia considering the usages through the desktop. To be precise, 1 out of 2 U.S. millennials use Pinterest atleast once in every month. So, let’s just get into the core of Pinterest to start from sign-in and until you sign out. Like most of the sign-in platforms, Pinterest goes with the same stereotype. If you choose direct sign-up, you will be asked with username, age, and gender at the next step. To proceed further, it is mandatory to select a minimum of 5 topics which you like the most from a given list. It is mandatory since Pinterest needs some space to understand the audience and fill their newsfeed with some basic user interest. If you choose to Facebook/Gmail, it will gather your basic details from that platforms after one click for sign up. You’re done with basic sign up, so you can get into the core of Pinterest. Features/Options in Pinterest – How to use them? In search, you can search for people, pinboards, hashtag, and keywords. Let me start with the settings and move on to other features. In the right top corner, one can see three dots, on clicking that it will drop down with edit settings, get help, terms and privacy, and log out options. The basic account details have to be filled, which includes language you prefer, the country in which you’re located, gender, hide from the search engines, personalization for ads, clear search history through search bar and deactivate the account when you like to. You can change your profile name, username, and display picture. Fill with a short snippet about yourself and primary location of yourself. Claim is a kind of advanced feature, where you can integrate your website with Pinterest to study your website’s analytics on Pinterest. “Claiming your website allows you to get attribution and Analytics for your content which may already appear on Pinterest”. You can claim in two ways, one Add HTML tag in the <head> section of your site’s index.html file and another way is to Upload HTML file to your website’s root directory. Enable/disable notifications in different ways. Desktop notification(push notification), email notifications, activity notification of people/board you follow. 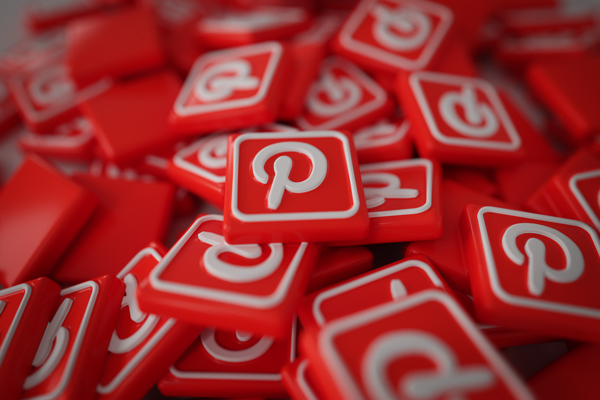 You can integrate Pinterest with your other social media platforms like Facebook, Google+ and Gmail. We might receive other social media platforms in the future. To ensure better security, the user can enable two-factor authentication. Along with your password, you’ll need to enter the secret code that we text to your phone each time you log in. Under show sessions, you can analyze the login through different devices and locations. In case, you found anything fishy, then end the activity and change your password. The apps which you have approved to use Pinterest account details. It will simply do its purpose. Push the notifications to the users, which includes, most popular pins, pins you might like, people you follow and their activities with your profile or their news feed. Search for people, it will be displayed with users in Pinterest. If you haven’t found someone who you’re searching for, then you can invite them through email, find friends from twitter and google+. Once you have filled your details through settings, it will be displayed in your profile. It includes your name, followers, following, website you have mentioned, the location you live in and short snippet bio you have described. Create boards, where you would like to pin different categories. For instance, if you like Creative crafts and gadgets, create a separate board for them in the name you want it to be. You can keep the board as private by enabling secret board option while creating, so no one can see your board appear anywhere on Pinterest. In Pinterest boards, you can create separate sections as well. Like, Under gadgets board, create sections like mobile and laptop to save pin separately. You can create pin in two ways, one under “pins” section and other with the plus icon in the right bottom corner. Similarly, On clicking, you can save pins in two ways, one directly from the website, other through uploading photo from your device. In both cases, you can provide a description and URL. While in the first case, images can only be fetched from the URL you have provided. After that, it will ask you to pin it to a particular board you prefer to pin them. The User can also save the others pin to your board as well by clicking on save option shown on the post. Pins that you try live here, where you can Add notes and photos to recipes you’ve made, places you’ve visited and other ideas you’ve tried from your previous pins. It will show the topics you follow and the topics you can follow in future as suggestions. Under the following menu, you can see the people and boards you follow with suggestions. In recommendations, it will recommend some trending and popular profile on Pinterest for you to follow. “Home is where the Heart is” – Yes, In Pinterest the home feed will be such lively when compared to most of the social media platforms. In “home”, you can see the feed of people, boards and categories you follow. As already said, you can just click on the save button on each feed and pin it to the board you prefer. On clicking three dots option on the right top corner, you will see a drop-down showing upgrade to free business account, where you can start your process for a Pinterest business account. Under the same account, fill your business name, website URL and business type. You will have the ability to run an ad and view analytics of your business. Here, Option under Ads menu is clearly elaborated, which includes create ad, overview, reporting, bulk editor, conversion tag and audiences. Create Ad – Ad Creation in Pinterest Business Account. Campaign Details – Choose campaign (if existing), New Campaign Name, Daily spend limit – Set a limit for how much this campaign is approved to spend per day and Lifetime spend limit – Set a limit for how much this campaign is approved to spend in total. Fill Ad group name, Schedule, and Daily Budget. Create an audience using your customer list, retargeting or act alike. Add interests of the people you would like to target as an audience. Add Keywords in the name of people who search in Pinterest. Select Location, language, Devices, gender and maximum cost per click for your ad. Simply select the pin which you would like to promote. Select the pin name and destination URL where the user should land. Fill all the required details and click on submit to promote your pin on Pinterest. Based on the objective of the ad, overview metrics will be shown. The objectives are awareness, traffic, promoted app pin, and video awareness campaigns. Under each campaign, the business owner can get the insights of ads, which includes Total impressions, Total Clicks, Engagement rate, Average eCPM(effective cost per mille) and Spend. Understand the campaign’s performance at each level of the campaign, ad group, ads, and keywords. You can choose between all, completed, paused, not started and archived campaigns and ad groups. Create or edit lots of campaigns in one go using a downloadable template. You can choose to edit a template pre-filled with all of your current campaign info or start with an empty one to create new campaigns. Understand the history of changes over time with the file name, status, and respective actions. Track conversions, Measure results and Build audiences. The option will clearly define for themselves on Pinterest. It is similar to remarketing tags like pixel and Google remarketing. It will help you to measure the results of your ads. Find people who have visited a specific page on your website and create campaigns to reach them. Reach specific audience, who will be relative to your business or the pin you are promoting on Pinterest. Remarketing – Target Visitors who went to your site. Database Marketing – Target List of customers that you upload. Pinterest Interest Targeting – An engagement audience that engaged with Pins from your confirmed domain. Actalike / Look-A-Like Audience: An audience that behaves similarly to the one you already have. Your Pinterest profile with average daily impressions and viewers with a graph. People you reach based on average monthly viewers and engagement with the graph. The third column will appear only if you claim your website. Settings -> Claim which is already explained. Here, you’ll know how all your website content is doing on Pinterest by you and other Pinterest users across the globe. It will also suggest you with top performing pins, which may help you for promotion and user understandability purpose. It includes Impressions, Saves, Clicks, and Pin type. The analytics of your complete profile with the impression, saves, clicks and All-Time. The numbers will suggest the number of views your pins got on Pinterest. Check analytics of particular date range. It will show the impression of top pins and boards. The reach which spread across Pinterest by saving your pins. This tab also includes most saves with pins and boards. People visit your website from Pinterest Pins. The analytics will show the average daily clicks and visitors. As usual, this tab also includes most clicked pins and boards with the most click from the last 30 days. Consolidated analytics data of your business profile with most saves, best in search and power pins (Most Engaging Pins with a mix of saves, clicks and more). It simply includes the data of same time with respect to Avg. monthly viewers and engaged. It depends on people interest towards each pin you share in your profile. Using it now with early access, which may be tweaked later. It will complete audience insights with Categories and interests, age, gender, location, and device. One – Your total audience(business profile) includes all users who have viewed or engaged with any of your Pins in the last 30 days. Two – Pinterest users interest of the global level audience in same viewed or engaged ratio in the last 30 days. Three – Ability to compare your total audience and business profile audience, which might assist you for ads and promotion. Pinterest is available in more than 250+ location, which they may add more in the future. Third Most Popular Social Media Platform in the US, among adults. It has 200 million monthly active users. Pinterest has worked a lot on gender-specific search queries and results. It is really interesting to say that Pinterest is highly female-centric even after all this modification. The modification has benefited the most as well, as the new sign-up of male users has increased 70 percent compared to the previous year. 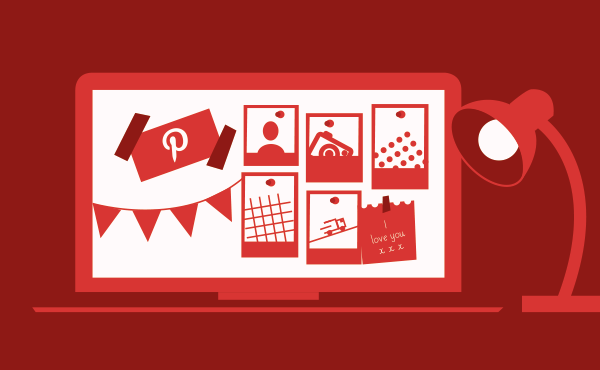 Every day – 2 million post pins which end up as 100 billion live pins on Pinterest. Head of Design and Marketing at SeekaHost Ltd. Aspire to learn! So far specialized in Digital Marketing, Conceptual Designing and Technical Support in a Web Hosting Company.